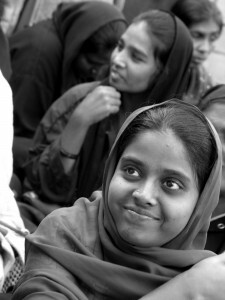 Girls from poor Muslim families are married of by the age of 15. This imposes severe psychological and physical stress on the girl. Without exception she delivers her first child within 12 months of marriage and then several more follow at regular intervals. It is not unusual to find in these homes three generations of women, where the oldest will just be in her fifties!